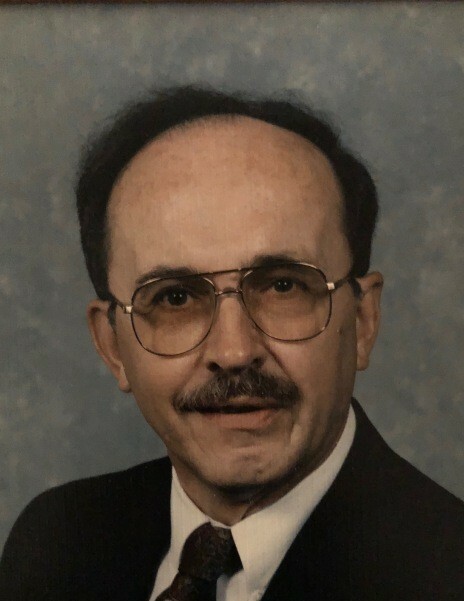 James (Jim) Edward Martin, 81, passed away Tuesday, November 13, 2018 after an extended illness. Born in Louisville, Kentucky, he was a graduate of the former Flaget High School and attended the University of Louisville. He was a member of the Civil Air Patrol and the Kip Kug computer user’s group. In his early years, Jim was an officer with the City of Louisville Police Department. He later retired as a buyer and developer of computer systems for G.E. He was a long-time member of Southeast Christian Church and greatly enjoyed his years serving as an usher. Jim was preceded in death by his parents, Jesse Ernest Martin and Mary Gilkey Martin. He is survived by his loving wife of 37 years, Della (Dolly) Martin; his children, Kathleen Paulino of New Jersey; Karen Bond (Brian) of Arizona; Geoff Martin (Tracy) of California; Laura Martin-Spetter (Geoff) of Idaho; and his stepdaughter, Aimee Johnson (Craig) of Fisherville, Kentucky. Jim had 24 grandchildren, Hayden Paulino; Brianna, Tyler, Carissa, Jaren, Susanna, Charlotte, Rebecca, Megan, Alec, Oliver, Juliette, Davis, and Felix Bond; Aspen and Magnolia Martin; Lydia, Clay, Luke, Ben, Hannah, Mia, and Ava Johnson. Jim is also survived by his brother, Frank (Chris) of Maryland, and their sons Steven, Matthew, and Kevin. Visitation will be 11am-2pm Saturday, November 17th at Stoess Funeral Home in Crestwood, KY, The Memorial Service will begin at 2pm. A private family burial at Louisville Memorial Gardens East will be held at a later date. Expressions of sympathy in honor of Jim may be made to: BesideU For Life Pregnancy and Life Skills Center, 701 W. Muhammad Ali Blvd., Louisville, KY 40203.